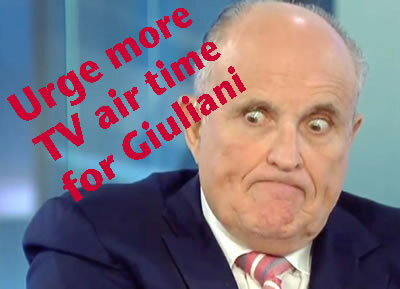 Please invite Rudy Giuliani on your programs more often, for longer periods of time, and with more freedom to express his views at length. You will be doing this country a service. To learn more, view email sent to RootsAction's list.